Looking to repair or rebuild your engine yourself? You’ll need quality parts for any engine work you set out to do. We are the best source for engine parts in Atlanta, so give us a call today for everything from new cranks to entire rebuild kits. 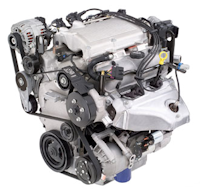 If you know a lot about cars, you’ll find that we offer the best engine parts around. Repairing or rebuilding your engine can save you money, but unless you know what you are doing, we would highly recommend having the job professionally done. You can literally spend thousands of dollars on an engine rebuild, and invest numerous hours, only to have the engine be destroyed because something minor was left out. Don’t let this happen to you, and give the professionals a call today!